I put my considerable x-acto knife skills, some freezer paper, and my fabric paint stock pile to use. Buying some Fruit of the Loom kid T's from Walmart at about $3 a pop or for a lucky few I had some plain hand-me-downs, I made several shirts my awesome, persnickety little man loves. 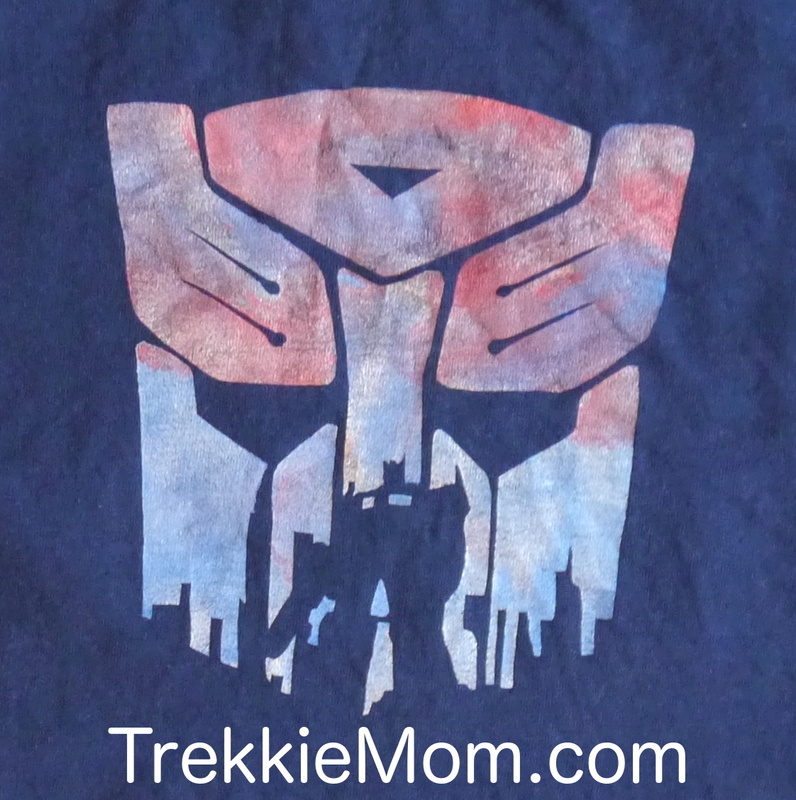 It all cost just over $3 per t-shirt and about 30 minutes to an hour per stencil. Not bad for getting the little man dressed more easily in the morning. If you haven't figured it out yet, he likes Iron Man and Transformers - a lot. 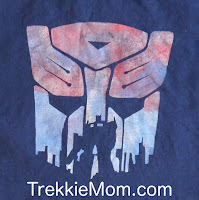 If you haven't done a freezer paper stencil, check out my tutorial here: http://www.trekkiemom.com/2014/09/freezer-paper-stencil-tutorial.html. I love freezer paper stencils and so do my kids, even if they are loath to admit it. Hopefully, I will find more time to chronicle my DIY adventures more often in the future.